The Mi Drone is the first drone to be manufactured by Xiaomi and one which looks capable of causing a disruption or shake-up in the market. 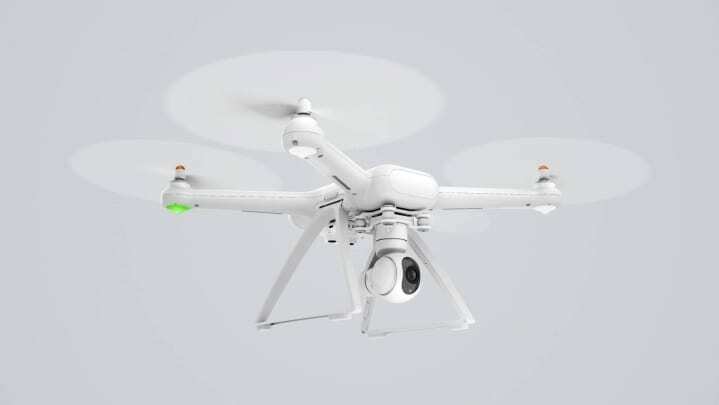 The Xiaomi Mi Drone is an affordable quadcopter that shares a lot in common with offerings from market leader DJI, but will be available at a significantly more affordable price. 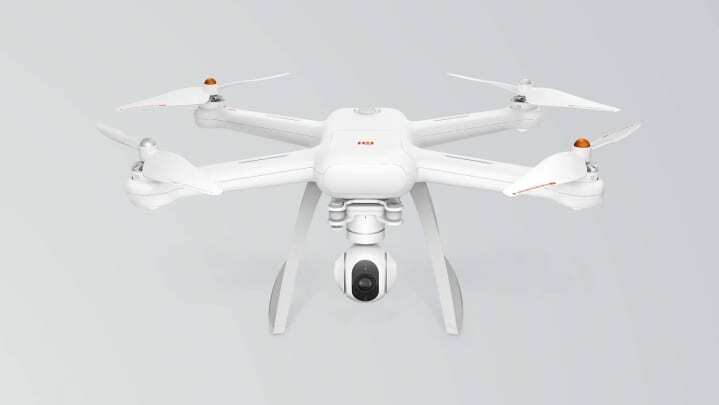 Parading a design said to have been inspired by a dragonfly, the Xiaomi Mi Drone comes with a four-propeller system featuring detachable shields. You are going to love this consumer drone if you are a lover of portability. The modular design of the Xiaomi Mi Drone makes it quite easy to assemble or disassemble as desired. You should not have significant problem folding this one up and taking it anywhere you go. A 3-axis gimbal keeps the camera in place stabilising up to 2,000 vibrations a second. Xiaomi Mi Drone is a quadcopter for those interested in aerial photography. It comes equipped with a 12-megapixel Sony camera for shooting videos and taking still images. The drone will come in two versions. One model will be fitted with a Full HD (1080p) camera having a 1km range, while the other boasts a 4K camera with twice the range of the other. The Xiaomi Mi Drone promises wide-angle shots with a lens having a 104-degree field of view. HD (720p) live video from the integrated camera can be viewed from a mobile device. This drone is accompanied by a dual-joystick remote controller that lets you control its various functions from the ground. 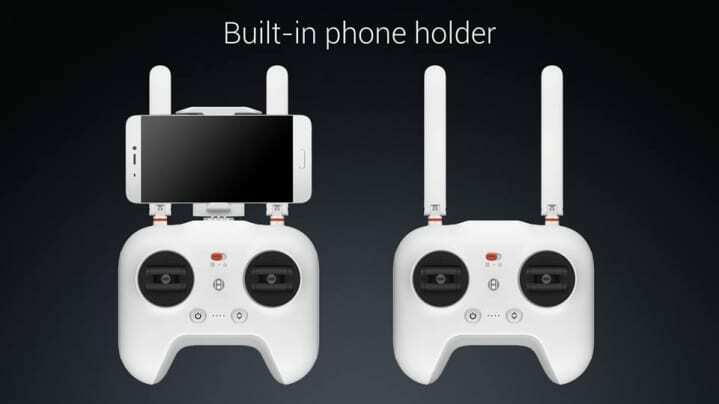 This remote, which Xiaomi claims will suit newbie users well, has a built-in PCB antenna that amplifies signal to enable you control the Mi Drone at a distance of up to 2 kilometres. The quadcopter comes with a 5,100mAh battery said to last up to 27 minutes in the air – slightly better than what the more-expensive DJI Phantom 3 has to offer. An alarm is set off on your connected phone when the Xiaomi Mi Drone is low on battery so you can cause it to return home. It features GPS, GLONASS and vision-based positioning for tracing its position at any point in time. Xiaomi Mi Drone is designed to automatically return home whenever it flies out of range. Xiaomi says no-fly zones in every country have been built in so the drone will not fly into such. 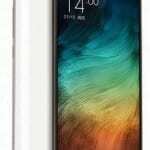 The Xiaomi Mi Drone will be available later in the year. Crowd Funding for the 1080p Mi Drone has begun via the Mi Home app, while the 4K Mi Drone will be available for beta testing sometime in July, 2016. The Price of the 1080p Xiaomi Mi Drone is expected at 2,499 yuan (75,500 Naira), while the 4K variant will go for 2,999 yuan (91,000 NGN).